In this week's episode of Snollygoster, Ohio's politics podcast from WOSU, Steve Brown and Mike Thompson discuss what a recent poll says about the minds of Ohio voters. Lauren Copeland, associate director of Baldwin Wallace University's Community Research Institute, joins the show. A Baldwin Wallace University poll has some interesting findings on what Ohioans are feeling about President Trump, refugee resettlement, gun control, and abortion. Democrats and Republicans don't agree on much, but a clear majority on both sides are in favor of gun restrictions such as a ban on sales to those convicted of domestic violence and a mandatory waiting period. The proposed gas tax hike was also not popular. The Mueller report, or at least the summary provided by the Attorney General, seems to clear the president of any potential colluding with Russia in the 2016 election - although it "does not exonerate" Trump on accusations of obstruction of justice. So the idea of former Gov. John Kasich challenging Trump, who still polls very high with the Republican base, for the 2020 nomination is likely far-fetched. 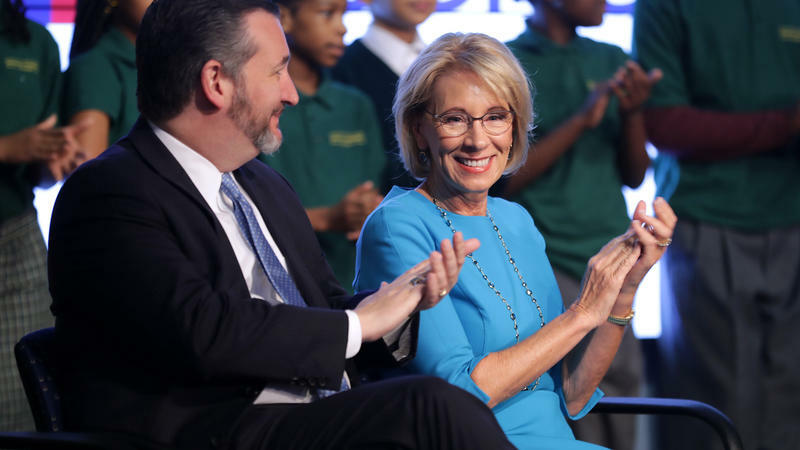 Secretary of Education Betsy DeVos's budget proposal includes an $8 million cut from the National Technical Institute for the Blind and an $18 million cut for the Special Olympics. Meanwhile, charter schools, which DeVos champions, would get a $60 million increase. More than half of Ohio Republicans trust President Trump more than the news media when it comes to "telling the truth about important issues,” according to a new poll from Baldwin Wallace University.